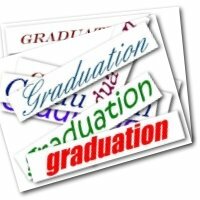 Are you Graduating? Let's party! 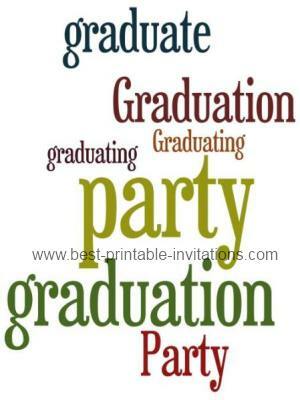 Invite your guests with one of these free printable graduation party invitations. 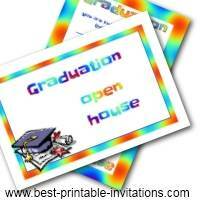 People celebrate their graduation in lots of ways - from an open house, to a quiet lunch - or big loud party. 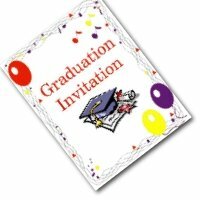 The invites here are a beautiful way to tell your guests about your party and invite them to celebrate with you. Why not print them both out and see which you like best. There are some real milestones in life - and graduating is certainly one of them. A great achievement - and a wonderful excuse for getting together with friends and relations to party. 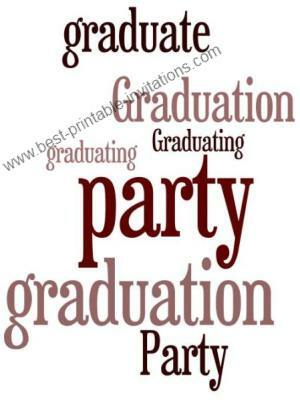 Graduations of course, come in all shapes and sizes! Kindergarten or preschool, high school, college - even nursing. Each one a stepping stone into your future. Printable invitations are a great way to keep your celebration stress free - and help you keep to budget. All you need is access to a printer (borrow a friends if you don't have one! ), some ink and paper. The invites here print onto standard sized paper - and we all usually have some of that already at home. Other ways to keep your event stress free? Don't go wild and invite too many people. Sticking to those that are important to you will make your celebration much more enjoyable. If you have very different groups (such as elderly relations vs funky friends!) then you may like to ask them to arrive at separate times (so they don't irritate each other!). Keep your decorations simple but effective too. Trying to include a lot of decorations takes time - and makes for a lot more clearing up after the party. A few balloons always makes a place look festive. Most of all, try to relax and enjoy yourself. This is YOUR day after all!